It was just past the New Year and only three days in to the second half of the school year, and wham: Snow in Chattanooga. Beautiful on the outside, three restless, bickering, cabin-fevered kids on the inside. Third snow of the season. 8 inches by my rough estimation of how high it piled up on the car. When it snows in the south it may seem like the Apocalypse has arrived. People raid grocery stores. Cars are abandoned in the middle of the road. Pat Robertson prays for lost souls on the only station that isn’t local snow gabbing. Should I drink that acid snow disguised with fake strawberry flavoring? When I was five in Morgantown, we’d bundle me up to play outside all morning. These were hearty times. I did the full array: built snowmen, igloos, and snow angels. I threw snowballs, pondered icicles, licked them, and even brought in snow to eat. 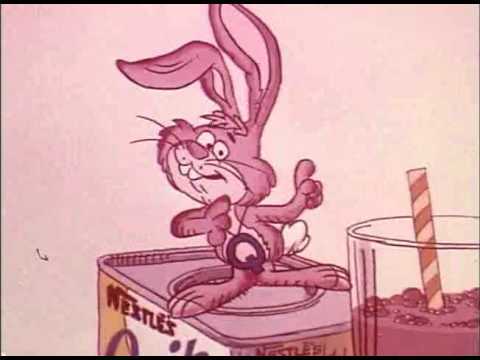 We weren’t up to date on things like acid rain back then—not in Morgantown—and my mother would put Nestle Quik strawberry flavoring and voila! Delicious strawberry flavored snow. Sadly, eating snow is a lost pastime, but others should live on. The kids were back in faster than it took to bundle them up. They should earn that hot chocolate after hours of sledding the heavy, damp snows on our considerable hills. So, while I was primed and ready to work on my next novel idea, I decided it was more important to seize the moment and to spend some quality time with my eight and five-year-old sons by building a colossal snowman in our backyard. The boys were already ensconced before a Sponge Bob episode. “Meet me in the backyard when you finish your hot chocolate,” I said, and dashed out the front door. I was rolling a massive snowball on my way down our backyard hill, amazed at how easily the bottom half stuck together in the heavy snow. I ran back in. They hadn’t moved. When they reluctantly came out, I showed them how the sticky snow rolled easily into massive snowballs. Soon they were rolling their own. Within two minutes Eliah, the eight-year-old, complained his hands were cold. “My hands are cold!” he yelled, wringing his yellow gloves. I ignored it the first time, but the second declaration warranted a response. “You just got out here,” I said. “See if you can just finish that ball,” I said. “But my hands are freezing,” he yelled again, wringing his hands in apparent pain that seemed convincing. “Right,” said Lucas, trying haplessly to gain his own momentum and make a big snowball. Eliah was up the hill and through the backyard without another word, no doubt ready to plop back down on the couch and finish whatever cartoon I’d interrupted. I continued struggling to heft the second large snowman body-piece atop the three-foot high first one when I realized that I was still building the snowman by myself. So, Lucas went running up the hill to gather a few river stones that lined some part of the landscape of our next door neighbor’s yard. Five minutes later he still hadn’t returned and I was still building the snowman by myself. It was looking a little lumpy. The huge snowballs were dense with water weight and almost sticky. I could barely break the second snowball in half. I kicked it, but like the Tar-Baby, my foot stuck in the large ball and nothing gave. I got back under it and tried to heave it by rolling it up the side of the first ball and fell back exhausted and on the verge of a hernia. I looked around at the rest of the otherwise pristine backyard, listened to the excited yells and calls of other neighborhood children sledding down other hills in the distance. I fell back in the snow and made an ice angel and waited on Lucas who still had not returned. I’m a 38 year old man with dreams, I told myself. It still is not too late to do something with my life. Last month, I’d just completed my first novel, which was not going to be my first real novel, and now I was ready to start over again in this the new year. Yet here I lie in the snow in my backyard on a day free from work trying, yes, to be a good father and do something with my boys they might remember for the rest of their lives and instead building a snowman alone. This was how so many things in parenthood go, I thought. Never the idealized way you dream even with the best of intention and boundless energy. I thought about abandoning the snowman. People would pass by in a week, and the lump of the forgotten snowman would be one of the last remaining visages from the passing snow, an unwitting symbol of abandoned dreams and lost hope. Okay, no! I would not abandon the man. And, as if on cue with the strength and personal determination I was mustering on behalf of fatherhood and personal dreams, the upstairs back door opened with news about Lucas. She closed the door, and I ducked underneath the deck and found a small flowerpot for a top hat and used some fallen bamboo from the garden for arms. I brought my elbow down on the second giant snowball like a wrestler and crack! I halved the ball and was able to heft it up onto the first section of snowman. By the time Lucas came proudly marching down the hills with a pirate hat, two oranges and a celery stalk, I had the second part of the misshapen body in place and was just putting on the head. We can make a pirate Frosty!” yelled Lucas. 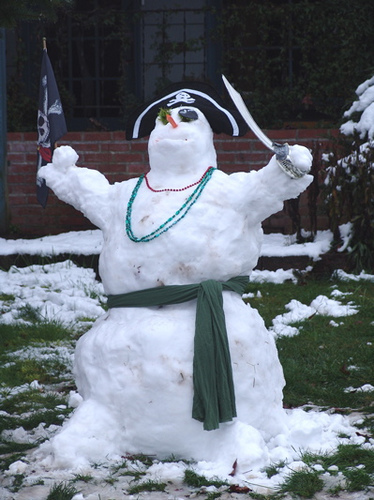 I outfitted the pirate snowman with an ironic, twisted bamboo smile and with his Pinocchio-like celery stalk nose and haunted orange eyes he was well on his way. A bamboo sash and sword completed the haunting snowman. Lucas looked up at it and took a deep breath, as if with satisfaction or relief. Expecting him to follow the rules of the game and hurriedly start making his own snowball, I threw the snowball at him and it exploded perfectly against his red jacket. He jerked in surprise, and his bottom lip began to tremble. Could anything go right? He took the snowballs in both hands and cocked his arms back and threw them at me with his left and right hand at the same time. He turned and started going back up the hill, crying harder. He hurried on, crying the kind of cry that only a mother can really make feel better. I couldn’t even engage a snowball fight. I ran up to him and hugged him and told him that I in no way meant to hurt him or his feelings, that I was merely trying to have a snowball fight and I was sorry that I upset him. “Is that an icicle?” he said, pointing at the bottom of the melting gutter drainpipe. “Yeah, wanna pick it?” I said, remembering the fascination I had with icicles at about the same age and how we’d go around licking them like they were a special treat—another lost art. He did and by the time we’d reached the front step he was complaining that his hands were freezing. I told him the best thing to do was to run inside and put the icicle on the table and everyone could look at it and his hands would stop freezing. simply put the icicle down. When Mom had run up and seen the beautiful drainpipe icicle, Lucas ran over to the trashcan, threw the icicle in and plopped down on the couch next to his brother in front of the TV. I went out and stared at the massive, already-melting, scarecrow-like, zombie, pirate snowman, sighed and came back in and had a hot chocolate and plopped down in front of the TV. Nothing like making memories that’ll last a lifetime. Now, when can we get back to work?